Behind-the-scenes. 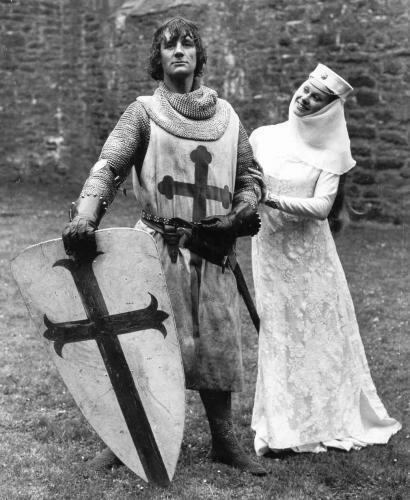 Behind the scenes of The Holy Grail.. Wallpaper and background images in the Monty Python club tagged: monty python the holy grail michael palin carol cleveland behind the scenes sir galahad. This Monty Python photo might contain surcoat, green beret, special forces, elite soldier, and rifleman.